Hashgraph Ambassadors were in attendance at the Seamless Southern Africa conference held in Cape Town from 11-13 March 2019. Cape Town’s local Ambassador, Roderick Ross, was there to network with like-minded people and get the latest ‘gossip about gossip’ on industry trends. He said, “the qualities that Hedera Hashgraph bring to the table are really exciting for this market, particularly around low-friction micro-payments”. 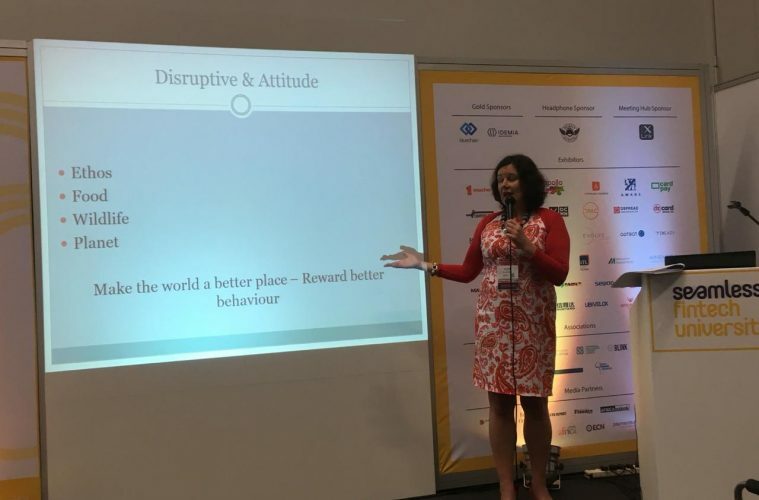 Jillian said: “This is my first time in Cape Town and it was exciting to hear from many banking and payments specialists looking at the issues facing this continent. One thrust was to bank the unbanked using emerging technology to overcome challenges related to mobile penetration, lack of infrastructure and a youthful population curve. “Another thrust came in the form of the ‘pro cryptocurrency brigade’ that wanted to go in the opposite direction – to unbank the world. They argued that just because developing countries leapfrogged technology, i.e. in telecoms terms skipping the land line and going directly to mobile – does not mean that they go in the same direction. “If we can crack micropayments it opens up many industries, beyond just paying humans (e.g. paying drones to photograph a remote area etc.)”. “Current crypto technology doesn’t lend itself to mass adoption yet. The fees for examples don’t make sense for small payments, when you consider that the fees are more than the coffee you might be wanting to buy. There is thus a need to develop. In Brazil we find that the crypto users thus prefer to hold the crypto coin and spend the fiat currency. We have also seen Venezuelans crossing the border to buy bitcoin out of necessity”. “Rural communities in Kenya have their own community digital currency. They actually use the country Fiat currency for savings but spend the community currency for day to day aspects – it is liquid and stable and it encourages people to spend the community currency and thereby participate in the community. Seamless is the region’s leading payments and commerce technology conference and exhibition. The event has separate conference agendas covering the world of Payments, Fintech, Ecommerce and Retail. For more information, please visit https://www.terrapinn.com/exhibition/seamless-africa/index.stm.